This week it has to go to Canada. First, last night’s opening ceremony was moving as sh*t. When the Great One lit the torch, I was gettin chills. I’m getting pumped for the Olympics. Of course, I’m excited about the hockey, but I’m also looking forward to watching the alpine skiing and speed skating. This stuff is freakin awesome. Also, last night drank a couple bottles of Molson. Gotta admit, that’s a great brew. Not too heavy, not too light. 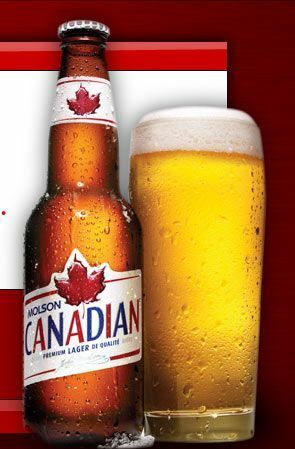 Definitely going to be choosing a lot more Molsons in the next couple of weeks in celebration of these great Olympic games. This entry was posted on February 13, 2010 at 3:24 pm and is filed under Shout Out of the Week. You can follow any responses to this entry through the RSS 2.0 feed. You can leave a response, or trackback from your own site.